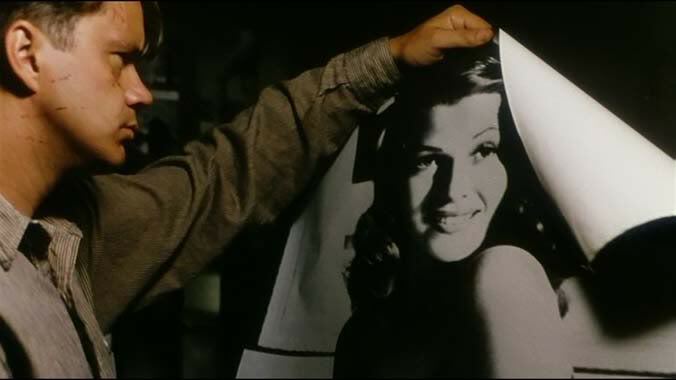 Andy Dufresne and lovely Rita. As Declan Kidney said in the aftermath, you can only control what you can control. It’s no news that Nigel Owens comes down on the side of the hometown team more often than not; Ireland, Munster and Leinster have all profited by it before on their own patch. In any game as tight as this, you can be badly hurt by a single action, or a single refereeing decision. Owens allowed New Zealand a get-out-of-jail card when he penalised the dominant Irish scrum for whip-wheeling. Ben Franks – whom Healy had put under enormous pressure since the dual-sided prop came on to replace his younger brother – lost his bind, and with Healy getting a big shunt on him and Franks unable to pin the scrum, the momentum was compounded by debutant openside Sam Cane moving up his prop’s side to slip his bind and actually attach himself to Healy. With Franks going backwards and Cane not providing any shove whatsoever, of course the scrum wheels. Whether or not Ireland then proceeded to intentionally whip-wheel it is neither here nor there; any illegal lateral movement or run-around occurred after the initial two New Zealand offenses. In the first game, the two early free-kicks against Conor Murray for delaying the feed had seemed unduly harsh – ludicrously so in the second instance – but it seemed that Owens had laid down a mark. He wanted the ball in as soon as both sides had engaged. It was pretty galling then to watch him let Piri Weepu stall the put-in and watch the scrum go down because he wasn’t happy with the All Black hit. To lose in such a manner is always gutting – it was gutting to lose against Wales in the last couple of minutes in the first game of the Six Nations too. Ireland were a little unlucky that Dan Carter was afforded two drop-goal attempts. Sean O’Brien did exactly what a good openside flanker should do, got in Dan Carter’s face and managed to get a hand to the drop-goal attempt. You can never tell where a blocked or partially blocked kick is going to go; in this case it skittered into the Irish dead-ball area, but another couple of inches to the left and it might have ended up behind the All-Black outhalf and been booted down the pitch by an on-rushing Irishman. The Mole was comparing this denouement with that of the RWC91 quarter-final heartbreaker against Australia [above] and the 2007 knifing by Vincent Clerc in Croke Park [below]. In both those instances, Ireland made a mistake [Rob Saunders’ initial clearance in 1991 and the failure to gather the restart in 2007] and the opposition teams were absolutely ruthless in exploiting it with the one opportunity they had. This time out, we got harshly penalized in a good position, never got the ball back and the All Blacks were allowed two bites of the cherry. You can’t really blame any of the Irish players for what happened; none of them really did anything wrong. Just as some wins are better than others, some losses are worse than others. It’s undoubtedly better to have played well and lost narrowly to a good team than to play poorly and lose heavily to an average team, as we did against England in Twickenham. To tough it out and pretend that the ref didn’t have a massive impact in such a close game – just as Jonathan Kaplan and Peter Allan screwed the pooch in the Six Nations game against Wales in 2011 with their incredibly poor refereeing of Mike Phillips’ clinching try – might be well and good in terms of the ‘spirit of the game’, but it doesn’t reflect what actually happened. Nigel Owens’ peevish on-line response to the Irish Times’ Liam Toland isn’t doing him any favours either – accusing a national newspaper of record of ‘printing lies’ is a pretty serious allegation, but doing so in ‘text-speak’ doesn’t add much to your own credibility! The Mole generally likes and admires Owens as a referee, and everybody makes mistakes on the pitch. None of the players had a perfect game either. However, in this instance he made a big call that wasn’t convincing at the time and isn’t any more convincing on replay. I don’t think that there was any grand scheme behind it, or any massive subliminal psychological force urging him to favour the All Blacks in Christchurch … but in my eyes, it was still a bad call, and one that ended up costing Ireland the game. This entry was posted in Match Reaction, Uncategorized and tagged All Blacks, Andy Dufresne, Ireland, Michael Lynagh, New Zealand, Nigel Owens, Rita Hayworth, Vincent Clerc by dementedmole. Bookmark the permalink. In a tight game, it’s easy to point to a close refereeing decision. They beat us. Those decisions last week didn’t help us, but they didn’t put is into a losing positions. Refs have been calling wheeled scrums a lot less for some time. He saw what he saw. Our front row were straight and driving fairly, but the back of the scrum walked around to help the movement. The ref could have called penalties either way, he called against us. If he’d done that consistently, I would have complained, but he was okay over the game. He’s a good ref. We were taking a risk with the wheel, partly out of desperation. It didn’t pay off. We needed to do more to win that game. NZ spent years building up their team to win close games when needed. We can’t go out there and hope to reach the next level with about one outstanding performance a year, we’ll come up short. While you’re at it, can you hack together an analysis for Wayne Barnes in the 2007 Fra vs NZ Qtr-final and Bryce Lawrence in 2011 SA vs Aus Qtr-final? It seems Ireland aren’t the only team to be ‘hard done by’ over the years. Ho hum. @Kefe – I didn’t actually make the clip, just found it [via greenandgoldrugby.com actually]. With regards to the rest of your comment, the clue is in the title: “Match Reaction #3”. It’s a reaction to last weekend’s match. Every team over the years has suffered their fair share of poor/iffy refereeing decisions, including game-changers. This one happened just the other day, and has generated quite a lot of media heat – that’s why we’ve given it a bit of coverage. On the scrum that’s highlighted here, as I recall the first offense was Ireland engaging early. After that, watch Healy’s arm. Has Franks dropped the bind voluntarily or has Healy broken it by levering with his elbow while trying to drop him? I’ve watched it half a dozen times in slow motion and I still can’t decide. It’s pretty much impossible to police if the ref allows props to bind on the opponents armpit. Cane unbinding is a clear offense, but it’s never going to result in the awarding of a match-winning penalty unless the offender gains a clear advantage. What sets the wheel apart from all of the other infringements at that (or any) scrum is that it gives the ref no option but to blow the whistle – something a career ref will be desperate to avoid at 75 minutes in a drawn game. Any old-timers who follow the Mole should have a read of an extraordinary letter in today’s Irish Times (Friday 22nd June) from one Charlie Faulkner, of Newport, Wales and a former highly respected Welsh prop. He totally vindicates Liam Toland’s analysis of Owen’s penalty against the Irish scrum last weekend and is absolutely clear that Owen was wrong. The world must be made of cheese after all!